We're passionate about shutters, we simply love them! 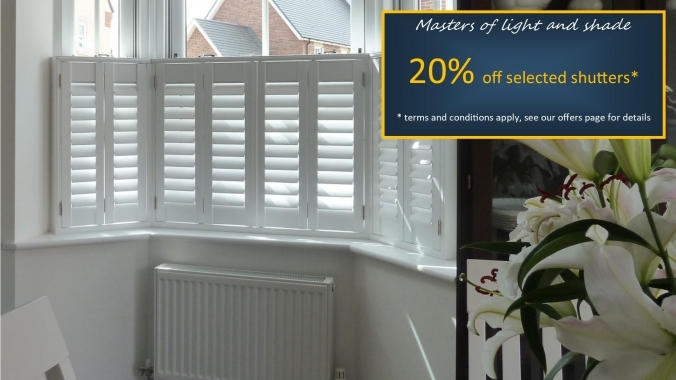 They’re just so versatile and look fantastic whether you have a traditional or a contemporary home, whatever your style our shutters can be designed to suit you and your home perfectly. 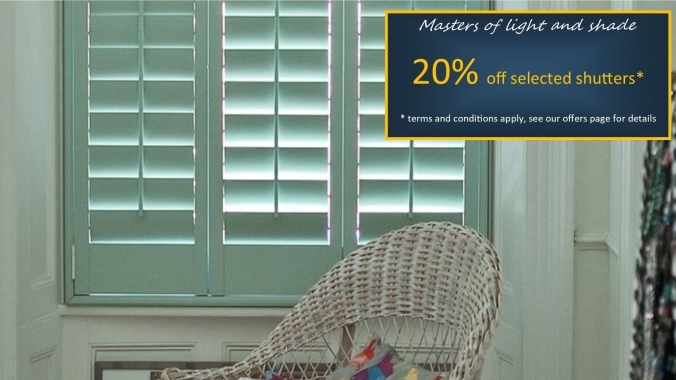 Shutters give excellent shading, fantastic privacy and a wonderful dappled light that keep your room light and airy. Our bespoke hardwood window shutters are individually made to your order with choices of louvre size, colour and the style you choose to cover your window. They're precision made and hand finished to the highest quality, so whether you’d like café style covering the lower section of the window, full height or the versatile tier on tier which have individual top and bottom panels, virtually any window can have shutters. Patio doors, circular, triangle, awkward shapes or architect designed windows all have solutions that will look amazing. We're Trading Standards registered, vetted and approved so you can Buy With Confidence. We want you to enjoy buying something nice for your home! You'll find us friendly and informative and you can relax because we'll never put you under any pressure and we'll always give you the time you need to make an informed decision. 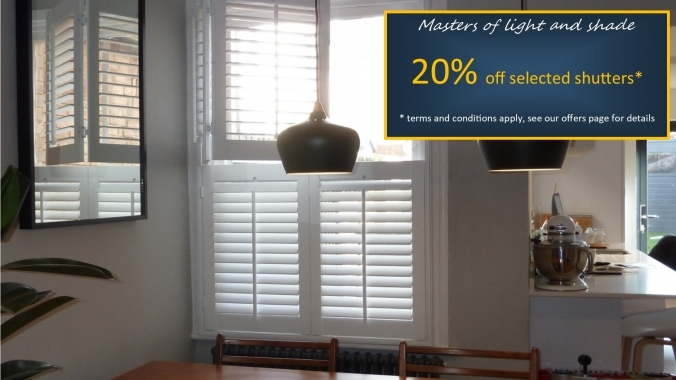 We believe our bespoke range of hardwood shutters, personal service and exacting standards set us apart. 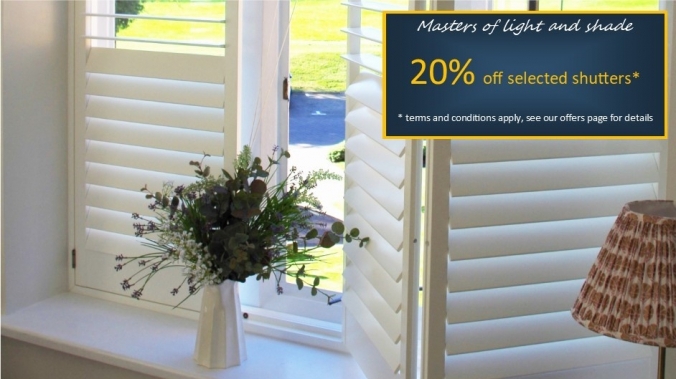 We've been described as artisan and boutique because we really take a pride in everything we do and because we're passionate about shutters. We understand our customer's have a choice and have placed their trust with us when they've placed their order. We're St. Albans based and cover Hertfordshire, North London and parts of Bedfordshire and Buckinghamshire and we're proud to be genuinely independent. Our friends at English Heritage have given us permission to use their findings from tests when they commissioned Glasgow Caledonian University to investigate the thermal properties of traditional timber sash windows. Their results found that when closed shutters insulate a window and reduce heat loss by 58% and by adding secondary glazing into the equation brings the figure up by a small margin to 62%. Trading Standards vetted and approved company. DBS (Formerly known as CRB) vetted and approved staff. Experienced expert design and installation service. No self employed or sub contract fitters. No commission only sales representatives. No advertising boards outside your home. Call or email we'd love to install beautiful hardwood shutters for you.